As pressure grows to call a referendum on the UK's EU membership, a senior Department for Business official faces allegations of impropriety amid revelations he offered pro-EU lobbyists tips on challenging Eurosceptic arguments. Correspondence obtained under Freedom of Information (FoI) by The Times reveals how senior civil servants issued advice and useful contacts to lobbyists, who are tipped to play a central role in arguing for Britain’s continued EU membership should a referendum on the issue materialize. The lobby, Business for New Europe (BNE), describes itself as a coalition of business leaders who back far-reaching reform of Europe. The group supports the UK’s membership of the EU, but opposes excessive regulation, bureaucracy and centralization. European Commission President Jean-Claude Juncker publicly broached the possibility of a British exit from the EU on Monday. He compared the UK’s membership of the union to an ill-fated love affair, and warned PM David Cameron he would not be “groveling” for Britain to remain part of the EU in future talks. Cameron, however, remains committed to a reformist agenda. Speaking at a Downing Street press conference with German Chancellor Angela Merkel earlier this month, the PM said he is “convinced” he can mend the relationship between Britain and the EU. While he acknowledged the EU requires an overhaul, he expressed support for remaining in the union. The alleged civil service neutrality breach, uncovered by The Times, is set to spark tension within Westminster’s ranks, with chairman of the Commons’ Public Administration Select Committee, Bernard Jenkin, warning he plans to broach the issue next week with Britain’s Cabinet Secretary Sir Jeremy Heywood. Jenkin is currently conducting an inquiry into the impartiality of Britain’s civil service with respect to September’s Scottish independence vote. 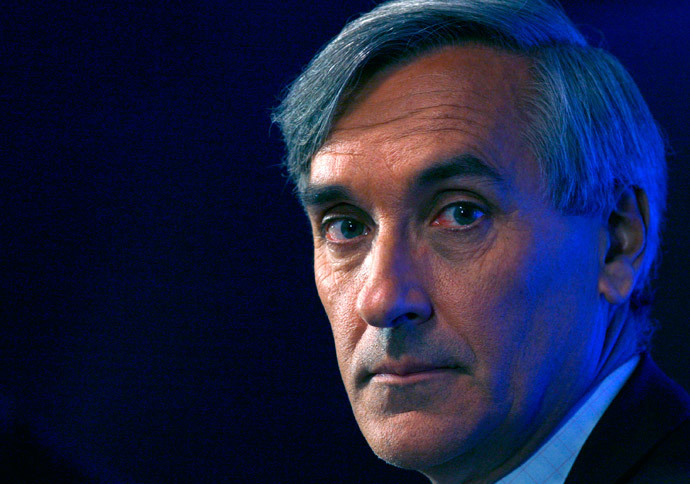 Ex-Tory minister and well-known Eurosceptic John Redwood, who previously warned the UK’s business sector not to “meddle in politics,” told the paper civil servants should avoid “political controversy” and should not seek to offer assistance to particular factions of political debates. The correspondence at the center of the allegations reveal that Peter Stephens, deputy director of the Department for Business’s European reform committee, advised BNE on the most effective statistics that could be deployed to challenge an anti-EU pamphlet produced by leading Eurosceptic lobby, Business for Britain. Business for Britain’s supporters back leaving the EU unless the union engages in drastic reform. “On the jobs number, I think we should continue with the 3.5 million jobs linked to trade … until we have something better to go on,” Stephens wrote. 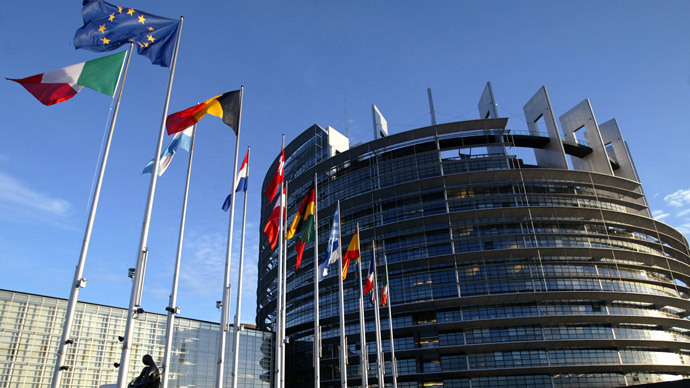 The political intervention was triggered by an email from a Business for New Euope communications staffer who was assembling “lines to react” to the Eurosceptic pamphlet. The correspondence also reveals Stephens’ manager, Susannah Simon, who heads the committee, connected a Business for New Europe director with another useful contact. “You and he might have a lot of shared interests … I explained to him who you are and he knows your organization,” she wrote. Such a dynamic poses serious questions regarding “civil service impartiality,” he warned. A spokesperson for the Department of Business told RT the correspondence revealed “no impropriety.” He argued civil servants regularly liaise with a broad spectrum of stakeholders to ensure policy formation is as inclusive and well-informed as possible.